Former California college student sentenced to 30 years in prison for trying to aid the ISIS jihadists. 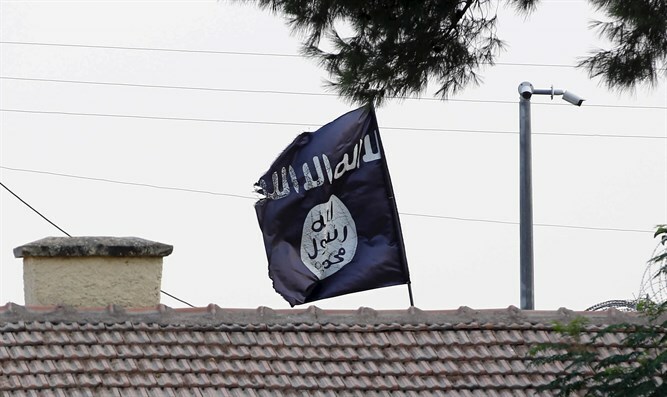 A former California college student was sentenced on Wednesday to 30 years in prison for trying to aid the Islamic State (ISIS) group, The Associated Press reported. Muhanad Badawi, 25, was also sentenced to a lifetime of supervised release during a hearing in federal court in Santa Ana. He was convicted earlier this year of conspiracy to aid a foreign terrorist organization and other crimes, according to AP. Authorities said Badawi and now-25-year-old Nader Elhuzayel concocted a scheme for Elhuzayel to fly to the Middle East to fight for ISIS and that Badawi lent him his debit card to buy a one-way plane ticket to Israel with a six-hour layover in Turkey. Elhuzayel was found guilty in June by a U.S. District Court jury of conspiring and attempting to provide material support, namely himself, to a terrorist organization, and 26 counts of bank fraud. He was sentenced in late September to 30 years in prison. The men, who were arrested last year, shared their support for the Islamic State in conversation and on social media. In recorded conversations, the pair discussed how it would be a blessing “to die in the battlefield,” the U.S. attorney’s office said. “The significant sentence the defendant received illustrates the gravity of this crime and the threat the defendants posed to the United States,” Deirdre Fike, assistant director in charge of the FBI’s Los Angeles office, said in a statement quoted by AP. The case is one of several examples of the phenomenon of radicalization which has plagued the United States and other Western countries. In early June, weeks before Elhuzayel was found guilty, 22-year-old Nicholas Michael Teausant of California was sentenced to 12 years in prison for seeking to travel to Syria to join ISIS. Teausant, a convert to Islam, had pleaded guilty to a charge of attempting to provide material support or resources to a terror group. He was arrested in March 2014 near the Canadian border, while en route to Syria to join the terror network. He allegedly told the FBI under interrogation that he wanted to go to Syria in the hope of becoming famous and "being on every news station in the world." American authorities over the past year or so have arrested and charged several people of supporting ISIS.